AquaFinesse makes it easy to keep the water in your pool clean, crystal clear and silky soft. Its all-natural ingredients reduce the need for harsh chemicals. Spend less time maintaining your spa and more time enjoying it with AquaFinesse. 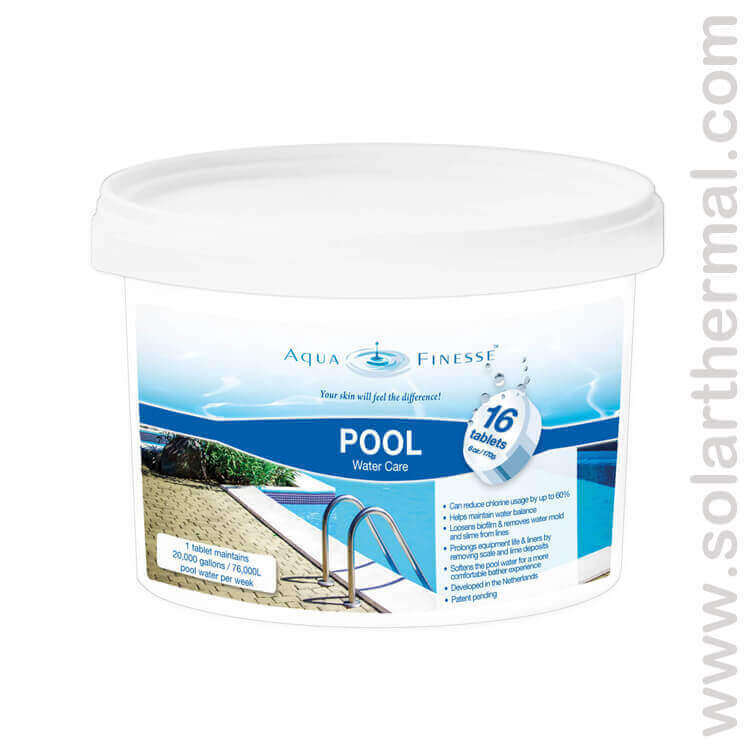 You don't need any special preparation for your pool before starting with AquaFinesse for the first time. Just follow these simple steps and you're ready to go. backwashed or cleaned and the water balanced. one week's treatment of 20,000 gallons.